By Xah Lee. Date: 2015-05-18 . Last updated: 2016-10-16 . 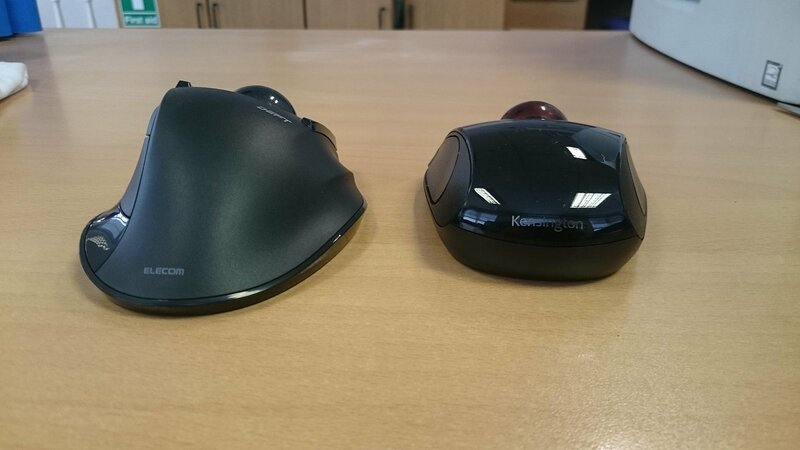 Plug and play with no drivers needed. Work with Linux out of the box. It features a touch-ring for scroll, but many don't like the touch-ring. It doesn't scroll reliably, and when you are using the ball, it's easy to touch the ring by mistake. 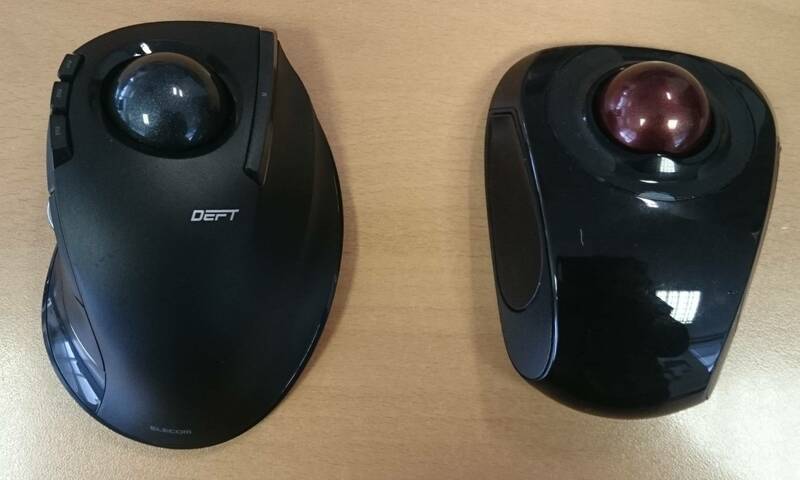 This trackball is small, same size as a small mouse. The buttons are on the sides. To press them, you have to actually hold the thing. Ball diameter is 32 mm.